What, you may ask, made the year 1976 so important for our shop (besides the obvious)? 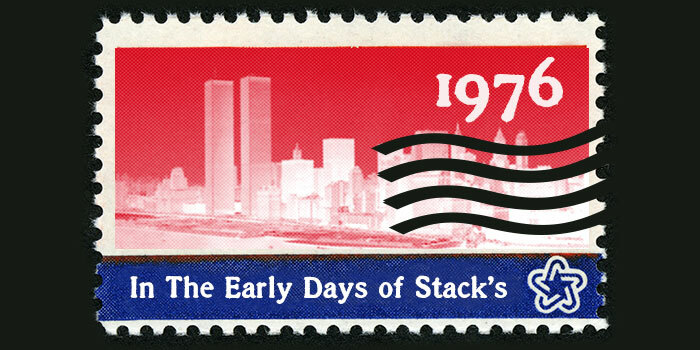 Few today know about all of the various happenings at Stack’s during the Bicentennial year. First of all, I, Harvey, was appointed by Gerald Ford, President of the United States, to serve as a Governor at the annual Assay Commission held in Philadelphia since 1776. This was a great honor, for not only was it our nation’s Bicentennial but it was also the last year the commission was ever to assemble. Secondly, we were part of the effort to bring the Louis E. Eliasberg, Sr. Collection of United States and World Coins to Philadelphia to be the highlight Bicentennial exhibit at the new U.S. Mint building. 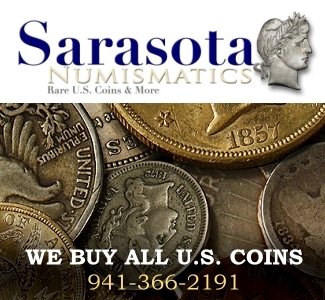 Thirdly, Stack’s was chosen by the American Numismatic Association (ANA) to conduct the auction at their annual convention, that year in New York City (because of the millions of visitors to Philadelphia making space in a convention center or hotel unavailable). The auction occurred at the new Sheraton Hotel on Broadway, where the convention was also held. And foruth, Stack’s also scheduled an additional six public auctions! When you have the chance to read about all that we accomplished in 1976, besides our usual buying, selling, collection building and being available for clients, you’ll see why it was such a historic year for us. After receiving the appointment by President Ford to the U.S. Assay Commission I was told when to be at the brand-new U.S. Mint in Philadelphia. The building wasn’t even finished when we governors arrived in early February 1976 to be welcomed by the Secretary of the Treasury, the Director of the Mint, and the head Coiner and Engraver–as well as the entire staff. We were taken to a special room with different pieces of equipment to do our assigned jobs. 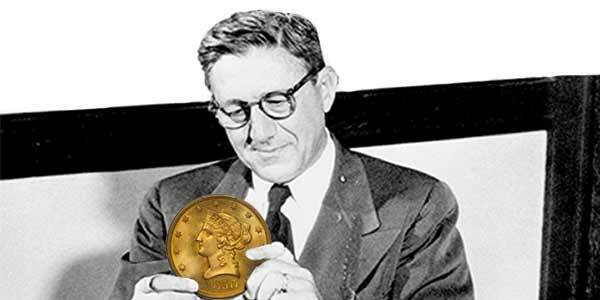 Though the use of precious metals in U.S. coinage was first terminated in 1964 with the dimes and quarters, silver was part of our currency until 1967, so the function of Assay of the Coins struck in 1976 did not require an actual assay. Our job entailed opening bags of coins to count that they were correctly bagged, check if they were well struck, verify the milling on the edges, weigh samples to see that they conform with the proper metals, review the minting records made at each of the three branch mints, and measure the diameter of each coin examined to be certain that they were “standard”. Though it appeared to be a relatively simple operation, many reports had to be compiled, and each report signed and attested to by the assay governors, which took a number of hours to assemble. Each of us was then given a bound copy of our reports, together with additional documents that we signed. During our visit, we were taken onto the mint floor. We watched how the metal to be used was rolled into strips to the diameter of the coin to be struck. We watched how the strips were then bathed to give them back their bright color. We saw how the planchet cutting machines prepared the blanks for striking, stood next to the coiners who were watching the planchets being fed into the presses, saw the strike and impact from the dies, and watched as the new coins were carried from the presses to the counting machines to be bagged. Samples from each bag were then examined and counted again so that the number to be issued would be correct. Being on the floor next to each mint employee as he did his job was an exciting aspect of the trip. That evening we had a special dinner in the Mint building, and we were each presented with a document (signed by President Gerald Ford) that attested to the work we did, a special oval silver medal commemorating our work and visit, and a small lapel piece that we were given to wear. Overall, it was a very memorable experience that I will cherish always. True stories, which sound unreal, rarely get told. 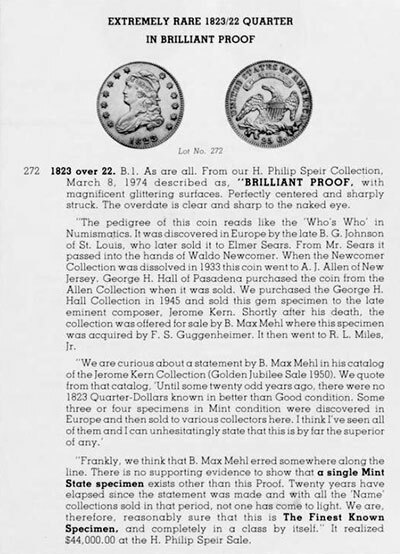 The Eliasberg Collection, which Louis E. Eliasberg and the Mint had agreed to show during the Bicentennial in Philadelphia, suddenly had something unbelievable happen to it before it was to be shipped. To protect the collection, the Mint was to provide two large armored trucks (as the shipping cases were quite large and heavy) to carry the collection from Baltimore to Philadelphia. In addition to the armed guards that ride in the trucks, they offered to provide three “chase cars” to lead the way and follow behind. Before the trip (scheduled for early April), Louis E. Eliasberg, who wanted to watch the collection set up, became critically ill and could not go. So he appointed his son Louis, Jr. to go with the collection. I was asked, and I agreed to be in Philadelphia when it arrived, to help in setting up the display. It was an honor that we from Stack’s would be part of this unbelievable exhibition during the Bicentennial, and it was to me, a tribute to the fact that my father (Morton Stack) and uncle (Joseph Stack) sold the major part of this unique collection to Louis Sr., and that is how most thought about it. Louis Jr, who worked with his father in displaying the collection occasionally at major banks in the Baltimore area in years gone by, felt that he had been given a great responsibility by his father to do the job right. Louis Jr. had a Maryland gun permit, and he told the Mint people that he wanted to ride in one of the trucks or “chase cars” and carry his gun with him (what he could do, exactly, no one understood, especially with all the armament that was already in the truck and “chase cars”). Mint officials, however, said that he could not carry his gun interstate. Louis said that his father (whom he always obeyed) told him to take care of the collection, and he “wanted to be sure that it was PROTECTED!” I immediately called the people at Treasury who were part of the original agreement. I told them that we were dealing with an insecure son, who always followed his father’s instructions to the letter, and we’ve got to do something to get him to be able to carry his gun on the trip. Well, since the Treasury was also in charge of the Gun and Firearms Department(! ), the senior at the Treasury had a special license issued in the name of Louis E. Eliasberg, Jr. so he could carry his own weapon interstate. The few hours, while all of this was accomplished, were surely some of the most harrowing in my professional career. But Louis Jr. got his way. He personally supervised the moving of the collection in its special shipping boxes, witnessed the doors being securely locked, and went into one of the “chase cars” with his gun on his lap! No one was going to sneak the collection away if Louis, Jr. had anything to say about it! I met the convoy at the Mint in Philadelphia and watched as Louis Jr. supervised the moving of the shipping cases from the trucks, through the building, and up to the special balcony where the collection was to be displayed. He supervised the dozen or show special steel stands, which looked like a “Rolodex” except upright. Louis himself unpacked each frame that held the coins, which were mounted in holders visible from both sides. Each stand handled from 12 t0 15 frames, so in many cases, each series could be viewed on both sides, and in chronological order. It was a style of display that Louis, Sr. had designed for the collection, so when he showed it to visitors at the bank where it was on display, the coins could be viewed from both sides by moving a frame to see either the front or the back. It was a clever concept. 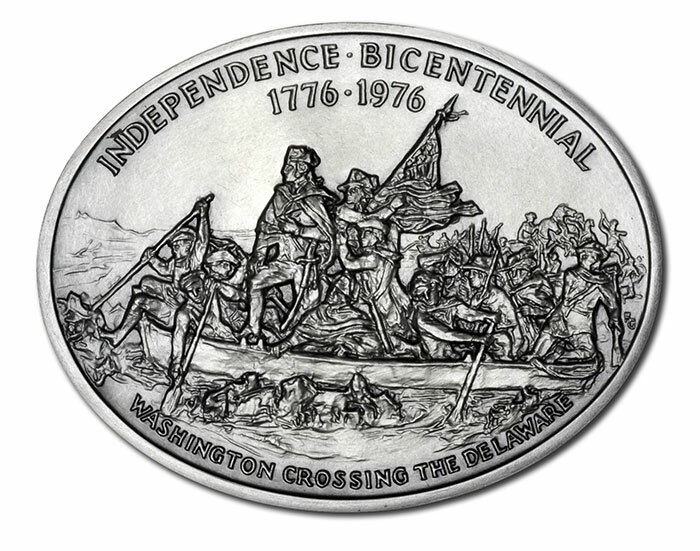 Additionally, long before the Bicentennial, Louis, Sr. had created a booklet guide to the collection – these were now to be handed out by the Mint. Once all the frames were in place on their verticle stands, Louis, Jr. inserted a special seal at the insertion points so he could feel all was secured. It was an adventurous event from start to finish; from the time we sold Louis, Sr. on the idea, to getting the Mint to accept it (saving the Smithsonian from having to give back to the Mint the rare coins that the Mint had deeded to them over the decades), to getting the “gun permit” and being there when the exhibit was erected. Millions visited the Mint during the year’s celebrations, and numismatics became one of the highlights of the event. Unfortunately, Louis E. Eliasberg, Sr. succumbed to his illness without ever getting to see it on display and hear the wonderful comments about it from the people who viewed it. I do know that Louis, Jr. photographed the exhibit and Louis saw the pictures before he passed away. The year progressed as follows. In February, we opened our auction season with the famous TAD Collection of U.S. Large Cents an outstanding offering of dates and varieties in high grades, from 1793 to 1857, and included many die varieties and Proofs (a real pedigree collection)–plus a comprehensive collection of dates and mints from the Half Cent to the $20 gold, a collection much referred to by cataloguers since it was sold. In April, we had several important consignments of United States gold, silver, and copper coins, which attracted bidders and increased interest in our sales. In May, we offered the famous Laird Park Collection of U.S. Colonial Coins, containing many rare and choice pedigree pieces from some of our earlier sales, highlighted by a Birch Cent, four different Continental dollars (including one in brass), Washington Born Virginia in silver, and many specimens from the various colonies. 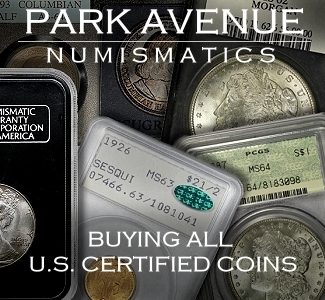 In addition, the sale contained many type coins, with mint and Proof examples of most series. The American Numismatic Association Convention Sale in August was one of the most comprehensive offerings of coins sold at an ANA convention in decades. It offered coins from the Massachusetts Historical Society, as well as the Boston Museum of Fine Arts, who sold some of their collections to enhance their display facilities. Both portions featured coins from the famous Adams Family of Colonial days, boasting some of the finest known examples of Colonial Coins; a magnificent offering of U.S. Large Cents, with many varieties and finest known; a collection of U.S. Half Cents with many in Proof; and coins of all denominations from Small Cents to Double Eagles, with again, many Proofs among the offering. It also featured Proof year sets of cents to the dollar from 1858 to 1915, sold by the year, plus outstanding selections of U.S. Paper Money and U.S. Patterns (over 140 pieces). It also featured extensive collections of ancient Greek and Roman coins, plus an outstanding collection of gold coins of the world and many rare silver coins. It was a large sale, with well over 4,100 lots offered in six sessions that were all well-attended and heavily bid on. Many records were set for an ANA sale. In fact, the results were so superb that he ANA approached us about doing it again, but their proposal was so outlandish that we declined. More on that in a later update. In October, we sold the William H. Fenn Collection of United States Gold, Silver and Copper coins, assembled over decades with various members contributing to the collection. In November, we joined two “old-time” collections (as they complimented each other) from the Estates of Marion E. Emrick and Harold F. Coffey that offered comprehensive collections of United States gold, silver, and copper, containing 1,627 attractive lots. In December, we once again joined together several “old-time” collections (from the Estates of Marion W. Emerick, Harold Coffey, and Lloyd Cabot Briggs) of Ancient and Foreign Gold, Silver and Copper Coins. After our sale for the ANA was completed, a group of dealers gathered in the lobby of the Sheraton Hotel, to discuss the success we had with selling this massive group of coins in a single sale during an ANA convention. As we sat about, Ed Rochette, Executive Director of the ANA and a close friend of the hobby and dealers, asked a group of us if we could have a private talk about future ANA sales. He gathered together Ed Milas of Rarcoa, the Goldbergs of Superior Coin Company, Dave Akers of Paramount Coin, Dave Bowers of Bowers and Merena, and myself naturally from Stack’s. I was exhausted after selling thousands of lots over the past few days, but the meeting was important, so I also attended. Ed explained to us that the ANA was expanding and needed more space in Colorado Springs, the home base, and that running a convention is becoming more expensive. That there is only so much they can charge the dealers for a bourse table (as they have lots of expenses traveling to shows and living away from home), and that the ANA Board of Governors, after totaling the results that Stack’s had just seen at their sale, had decided that future auction bid fees would have to be increased. As I mentioned earlier, Stack’s had paid $50,000 (plus an extra $10,000) to get the addition to the library finished for the 1976 sale. The Board wanted to do away with the auction dealers bidding for the sale each year. The minimum that they were willing to accept was $250,000! We could then bid above that figure if we wanted to try to get the sale. If there had been a good place to faint, we all would have been on the floor. We explained that, even though the market value of coins have increased over the past few years, there was a resistance to the prices, and that they are leveling off if not going down. 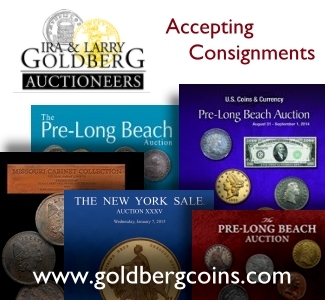 We dealers now had greater expenses in conducting auctions, our catalogs were more expensive, we were mailing many more catalogs than in previous years, and that a QUARTER MILLION DOLLARS was far more than any sale was worth in the current market. We all objected to the price and said we could not run a sale without losing money. Ed said that he felt we could do it. That he was speaking for the Board and not himself. He understood that the costs he suggested, plus expenses needed to just prepare a catalog and have a sale, were great, but as the Board felt that market prices are rising that we auctioneers would be willing to pay more to run the sale each year. We told him we would think about it, but initially, he would have to go to others to get a “paying auctioneer”. We all left the meeting, found a conference room that wasn’t in use, ordered some drinks and food, and decided we had to discuss this as it was such a scary deal to contemplate. During this meeting, we all said, in different ways, that we would just have to forget the ANA as a place to run our sales. As we all pondered the matter, we realized that we could join forces, each get consignments and run a sale with the ANA like what happened in 1952 when New Netherlands, Merkin, and a few others joined forces and ran the sale. Then an idea came to the table like each of us had the same thought: Why not run a sale, not during the ANA but a week or so before or after the convention? 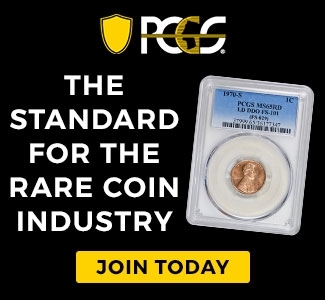 We thought it would be a great idea since those who attended the meeting were the leading coin auctioneers at the time. The ANA not having any fee for an auction before us would have to try to solve their financial problems some other way. We all seemed to agree with the idea, with the exception of Dave Bowers. Since General Mills owned Bowers and Merena, Dave could not commit himself to join in (later we found out that General Mills does not join with anyone). So four companies made a tentative deal. Stack’s, Paramount, Rarcoa, and Superior would investigate the feasibility of making an annual sale altogether. But we knew that if we ran it concurrently with the ANA that they would deny us bourse space during the show, and we all came to the show to be on the bourse. So we decided that if we went forward, we would not bid for the next few ANA auctions and would seek a different location. This way we would not compete the first year we didn’t bid. And since the 1979 convention was to take place in Boston, we chose a site in Lawrence, Massachusetts. I thought, along with Dave Akers, that we could run it a week before the Boston show. The program would be simple: each company would gather say 500 lots each, making it a 2,000-lot sale, and each would send the catalog out to our own mailing list. We each would receive bids for the sale, and we would represent our mail bidders at each sale so that we didn’t give away our clients and those who would attend the live session would get to know each of us. The costs of running the sale would be shared. We could have an early dinner served before each evening session; we would use each other’s staff to show lots; and our costs for running the sale would be far less than Stack’s had to pay for 1976 and far, far less than a quarter of a million dollars (or more). Dave Akers was in for the whole project, for he also knew that Paramount would not last for more than a few years. He came up with the idea that if we ran the sale in 1979 we could call it an APOSTROPHE AUCTION, and on the cover would be the title ‘ AUCTION ’79 and we could all call it our Apostrophe Sale, as the four companies names would also appear on the cover (all the same size). And if we continued after 1979, then we would rotate the order in which the names appear. So despite the fact that we were all tired, we became energized with an answer to the problem presented to us earlier that afternoon, an answer that had now grown to be a project we could all address and work at (not to mention live with). Now you can see how hectic–as well as historic–the year 1976 was to Stack’s and myself and why, in 1979, there appeared the Apostrophe Auction.